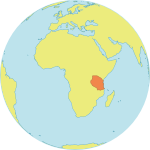 DAR ES SALAAM, United Republic of Tanzania - Happiness, from the Mara Region of Tanzania, was 12 years old when her parents decided she was old enough to be married. They pulled her from school, planned to have her undergo female genital mutilation (FGM) and prepared to marry her off to a man of their choosing. But Happiness took a stand. She fled her parents’ home and took refuge at the UNFPA-supported Masanga Centre. For eight months, caretakers at the centre worked to convince her parents to allow her to return to school. They finally relented, and Happiness resumed her education. But she continues to live in the Masanga Centre, and wants other girls in her situation to have the same kind of support. A new initiative aims to protect girls like Happiness from the pressure to marry while still children. On 25 August, UNFPA, together with partners including the Graça Machel Trust (GMT), the Children’s Dignity Forum, and the Tanzania Media Women’s Association, helped launch the Government’s ‘Child Marriage-Free Zone’, a national campaign to end child marriage. The campaign, which started in the Mara Region, reaches out to communities about the rights of girls and the responsibility of all people to uphold them. It is part of a larger African Union (AU) initiative to end child marriage across the continent. Her story was echoed by that of 13-year-old Pili, also from the Mara Region. “Members of my clan wanted me to undergo female genital mutilation and [then] marry me off,” said Pili. “My mother took me to Masanga Centre for safety." Happiness and Pili are among a small number of girls in the region who managed to escape child marriage, as well as the FGM that often precedes it. Tanzania has one of the highest child marriage prevalence rates in the world. On average, almost two out of five girls will be married before their 18th birthdays, according to the country’s 2010 demographic and health survey. Tanzania still uses the Law of Marriage Act, from 1971, which allows girls to be married at age 15, with parental approval, or even at age 14 if courts approve the request. Child marriage often goes hand-in-hand with FGM, a rite of passage signifying a girl has reached womanhood. And girls who are considered old enough to marry are frequently pulled from school, since it is expected they will assume the domestic responsibilities of their husband’s home. All of these practices violate girls’ rights. And girls who know their rights – like Happiness and Pili – are better equipped defend them. To ensure this campaign is effective, UNFPA and partners are calling for increased investments in institutions that protect girls and women, as well as increased investment in their sexual and reproductive health and rights. They are also advocating for an increase in the minimum marriage age to 18 and for making secondary education compulsory for all. The campaign will soon be rolled out in other regions where child marriage is prevalent. “I believe what we are doing today will light a fire to other corners of our country, and we won’t stop until we have declared Tanzania a ‘Child Marriage-Free Zone,’” said Benjamin Mkapa, the former president of Tanzania. UNFPA is also supporting the establishment of ‘gender and children’s desks’ at police stations, where specially trained personnel handle women’s and girls’ protection issues. The desks are being created around the country, with a priority on regions with high levels of FGM and child marriage. And the momentum is likely to grow as more girls’ rights are realized and when they, like Pili, are allowed to fulfil their potential.